Sant Antoni is getting closer, one of the most celebrated popular festivities in the Comunidad Valenciana. 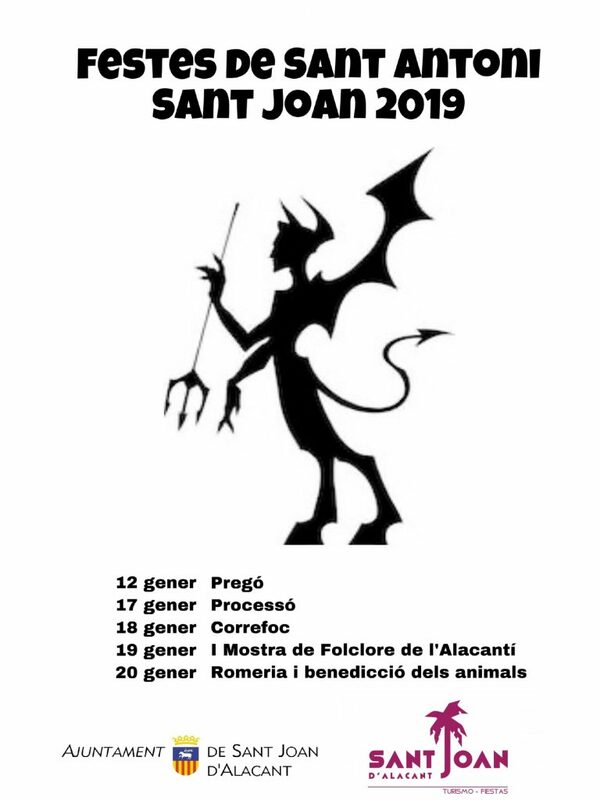 This festivity where animals are blessed in front of Saint Antonio will be accompanied by music, dance, and correfocs. 20:00 Pregón by D. Manuel Tejero. Performance of Colla de Dolçainers i Tabaleters Els Amuntegats. 19:30 Procession in honour to Sant Antoni, our patron saint. 19:30 III meeting of DIMONIS FESTES DE SANT ANTONI, followed by a spectacular CORREFOC through our street. 11:30h Pilgrimage from Plaza Maisonnave to the Marquee located in Calle San Antonio. Short mass and blessing of animals.